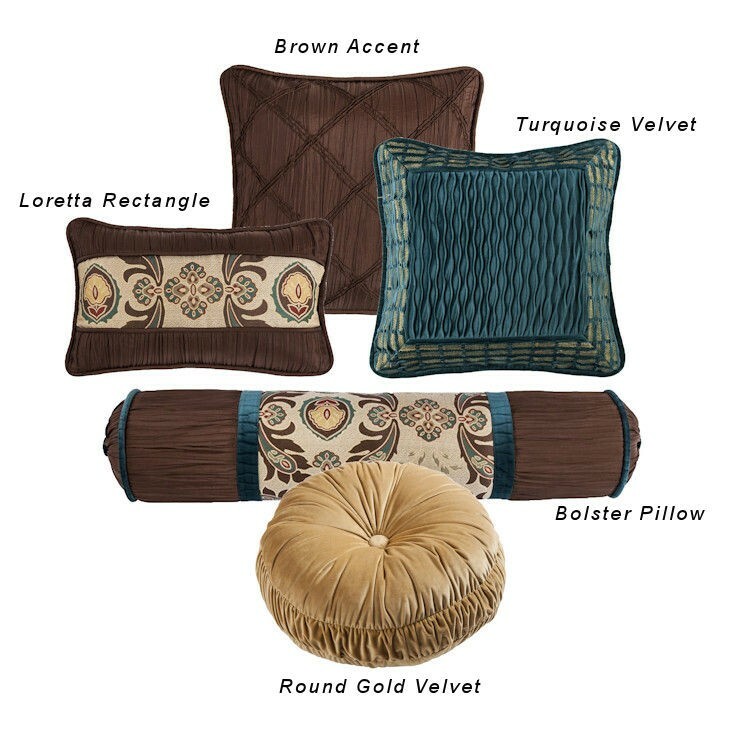 The Loretta Comforter Sets set rich hues of teal, dark brown, gold and red on a neutral cream background in a stylized paisley. These ensembles are accented with a dark brown rouched bedskirts and ruffled pillow shams. 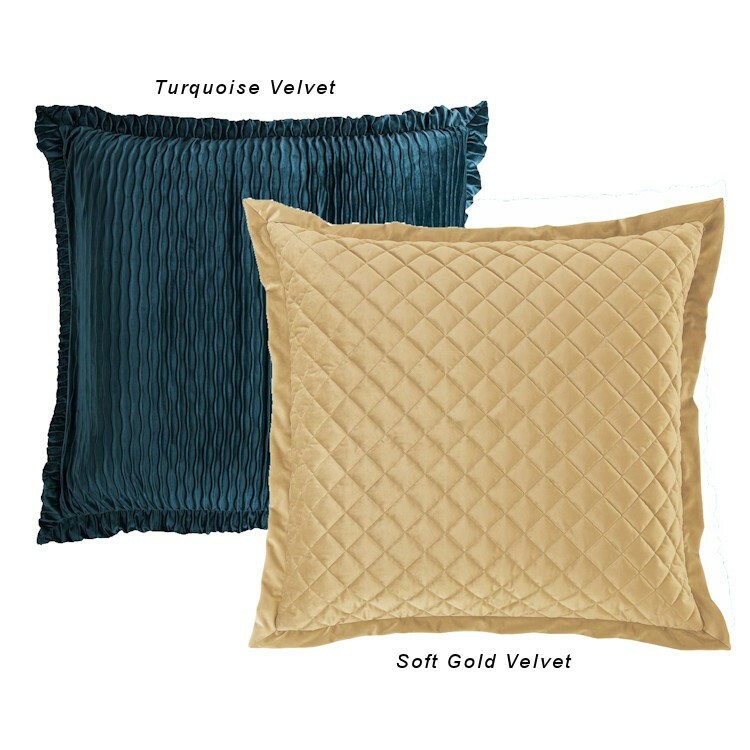 Be sure to pile on plenty of accent pillows and give added visual interest by layering with the soft gold velvet accessories.